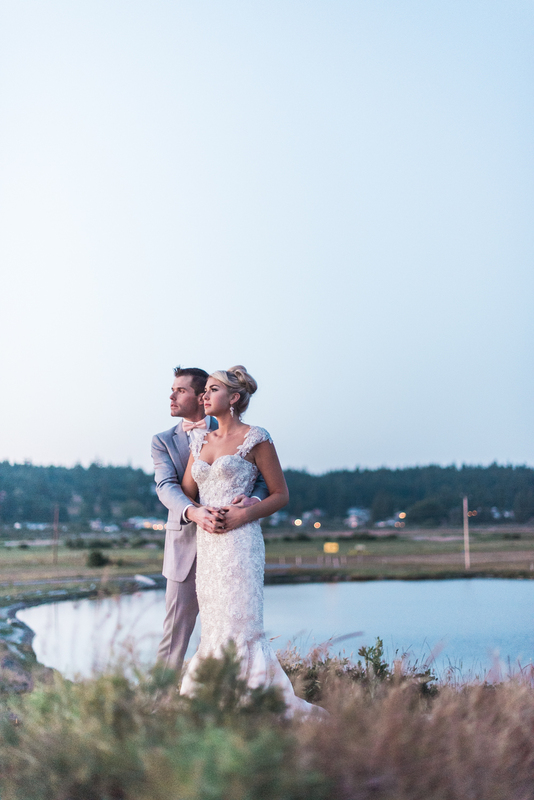 A fresh & sophisticated Nautical Styled Shoot featuring the best of the Pacific Northwest-- Taking the ballroom to the waters edge. 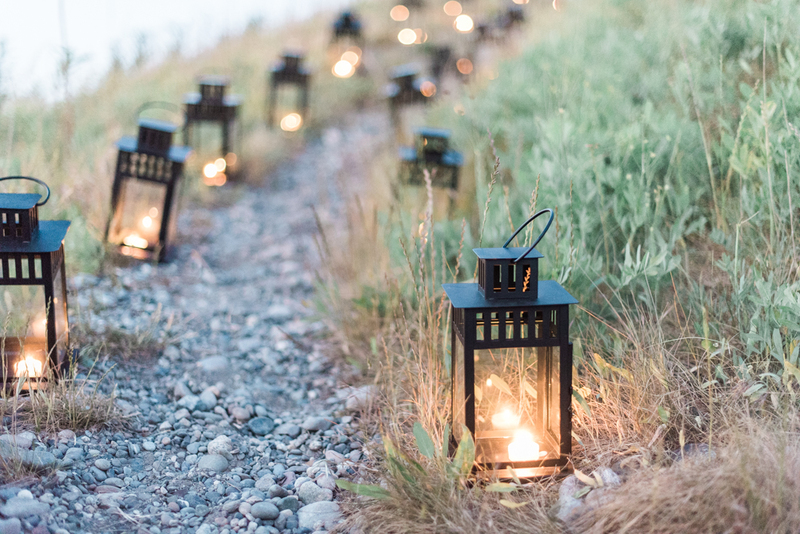 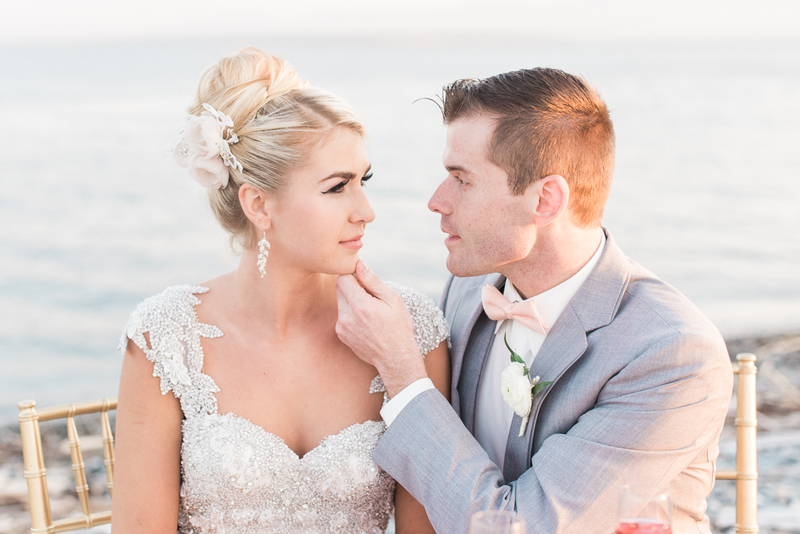 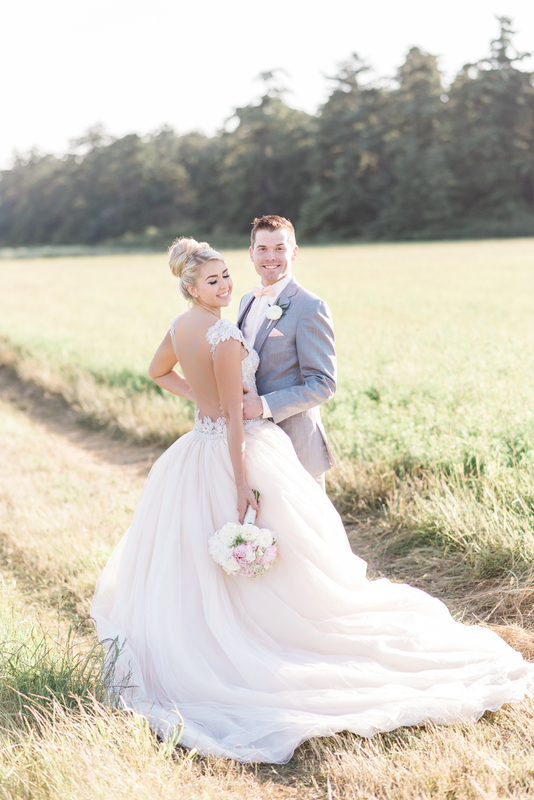 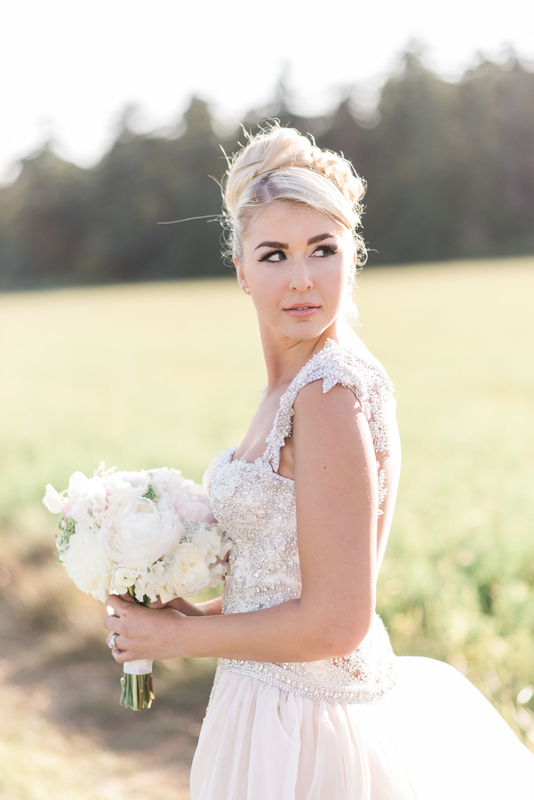 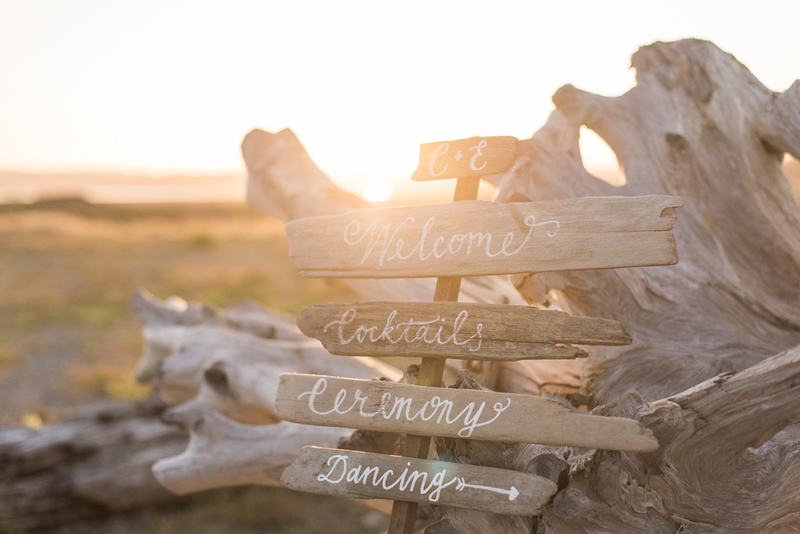 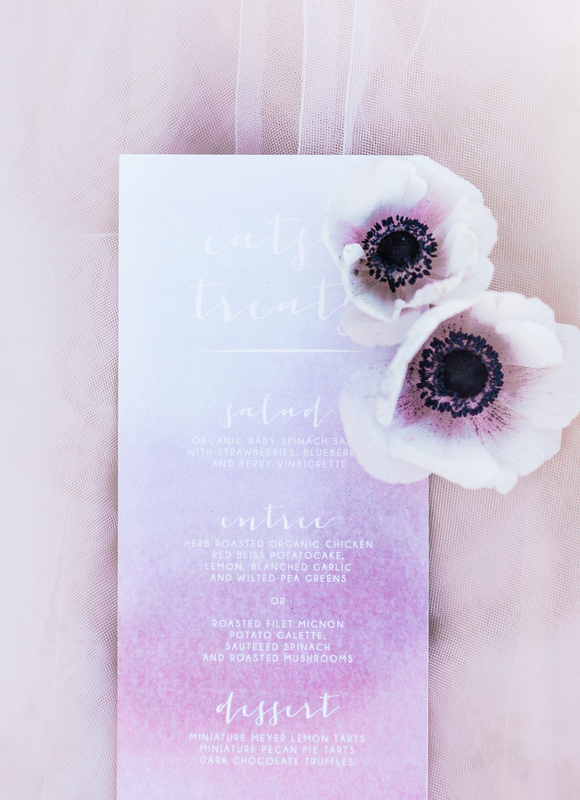 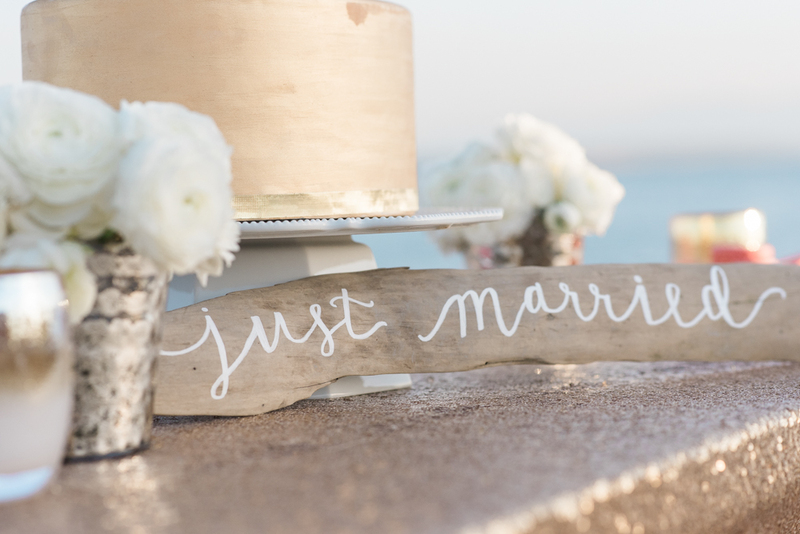 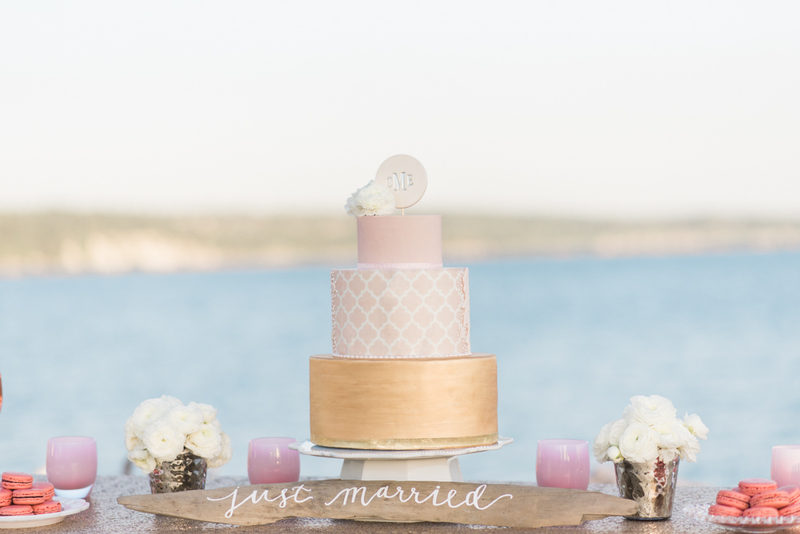 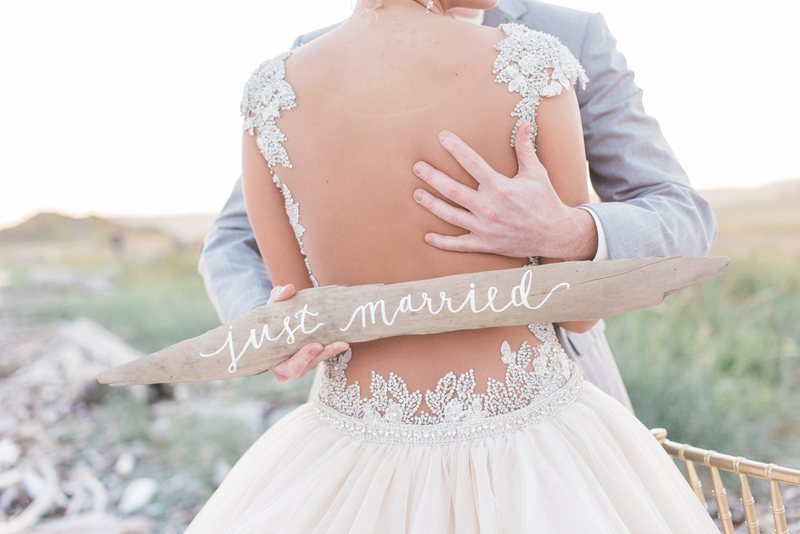 From the event coordinator, LCM Weddings: Inspired by the bluffs and beautiful sunsets of the coastal Pacific Northwest, Becca of B. Jones Photography and Logan of LCM Weddings and Events decided to create a styled shoot with a fresh take on a beach wedding. 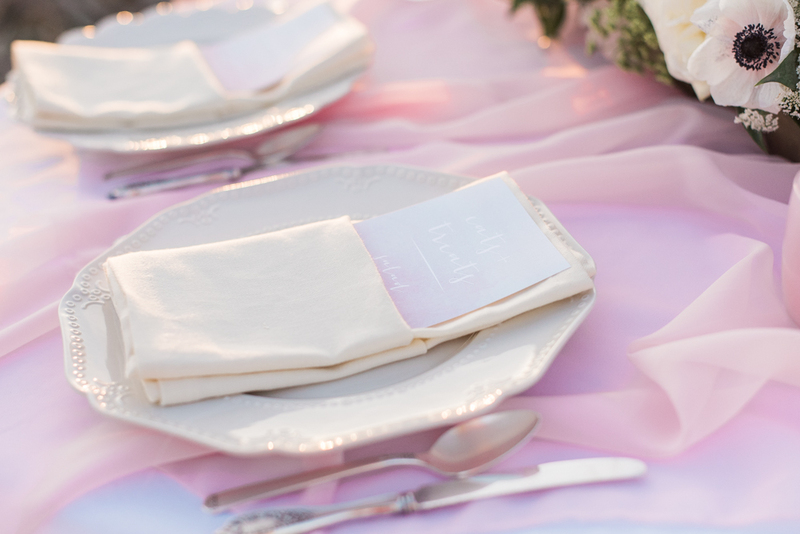 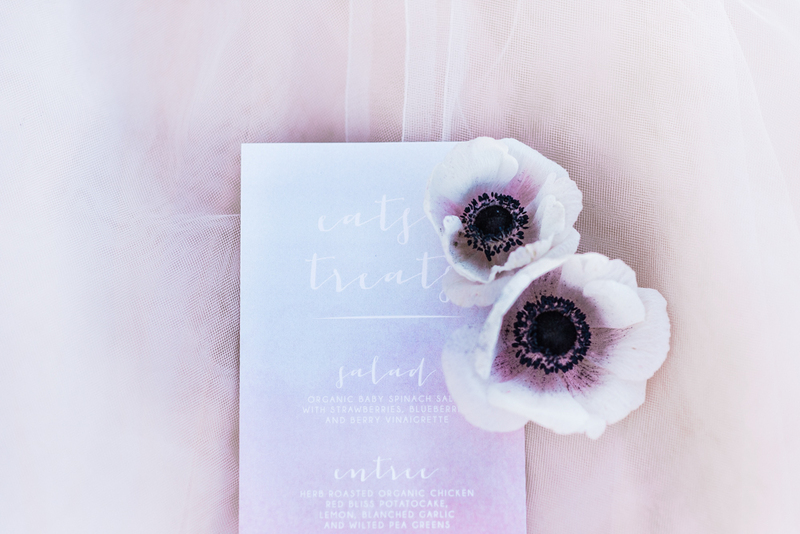 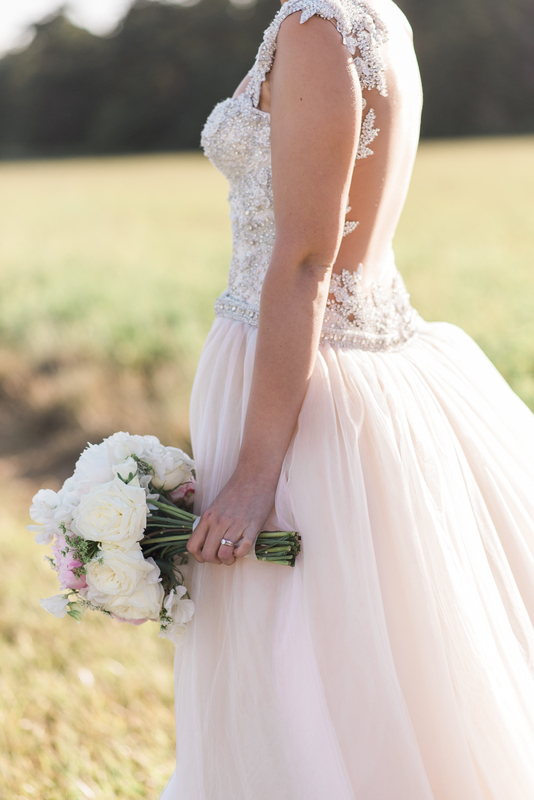 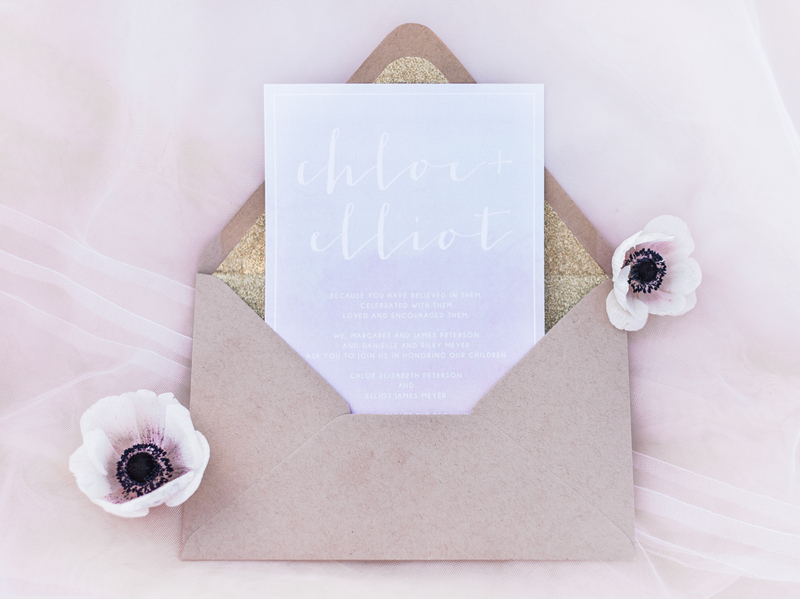 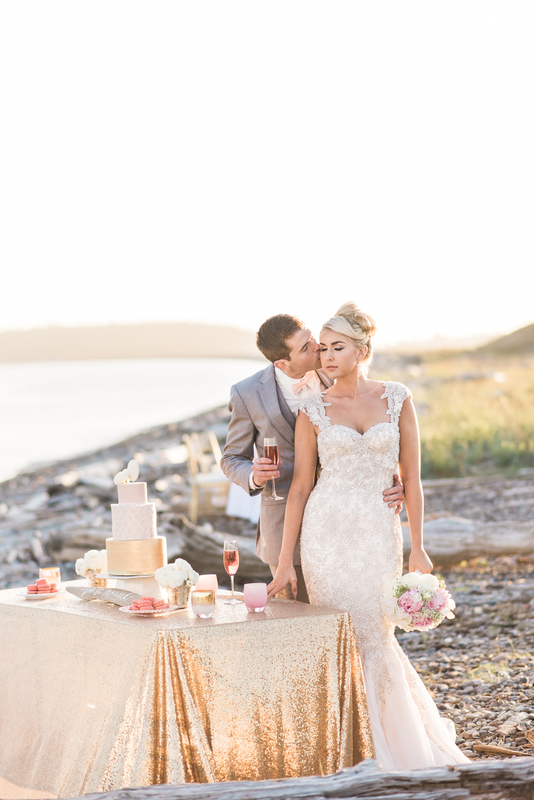 Blush and sand mixed with gold created a sophisticated look near the waters edge on Whidbey Island and we couldn’t have asked for a more perfect day! 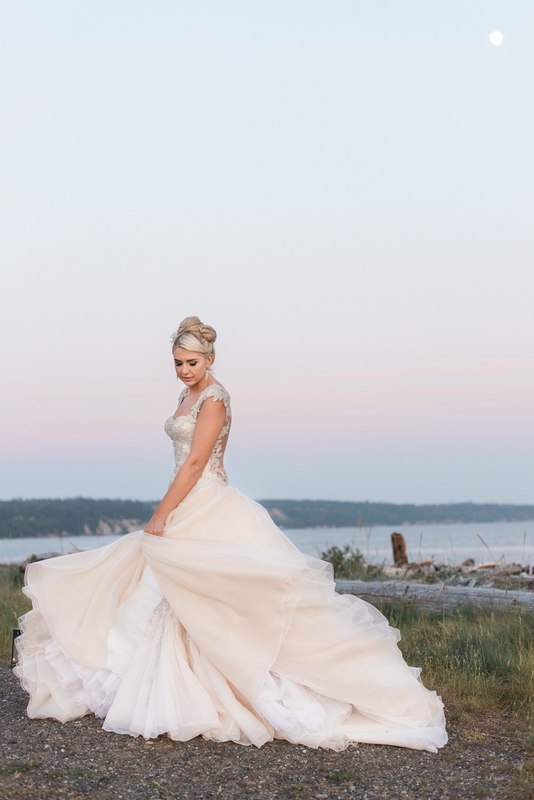 The glittery gold and blush stood out beautifully against the cloudless sky and shimmering blue water of the Puget Sound. 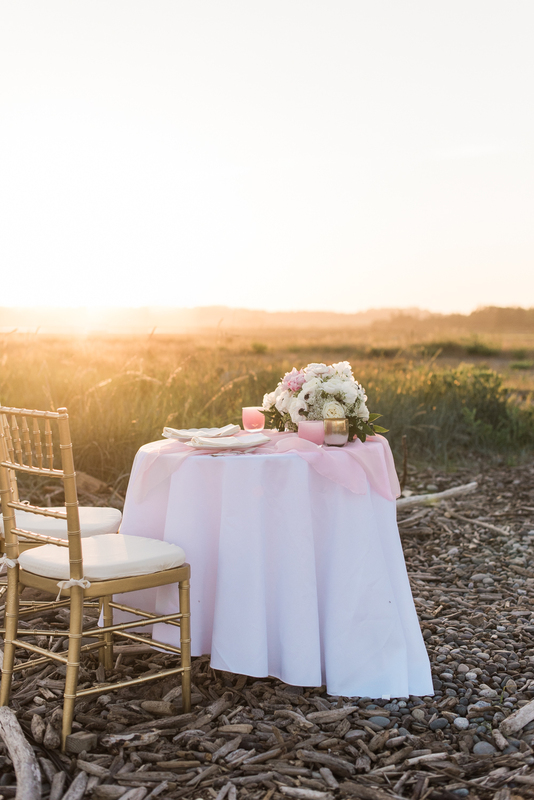 Planning the shoot close to sunset we got exactly what we were looking for when the sky turned the most beautiful shades of blush and gold that we could have asked for. 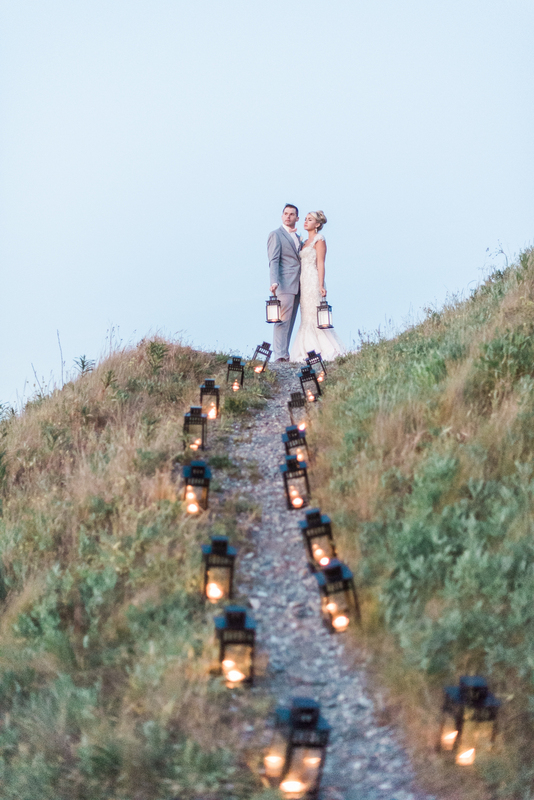 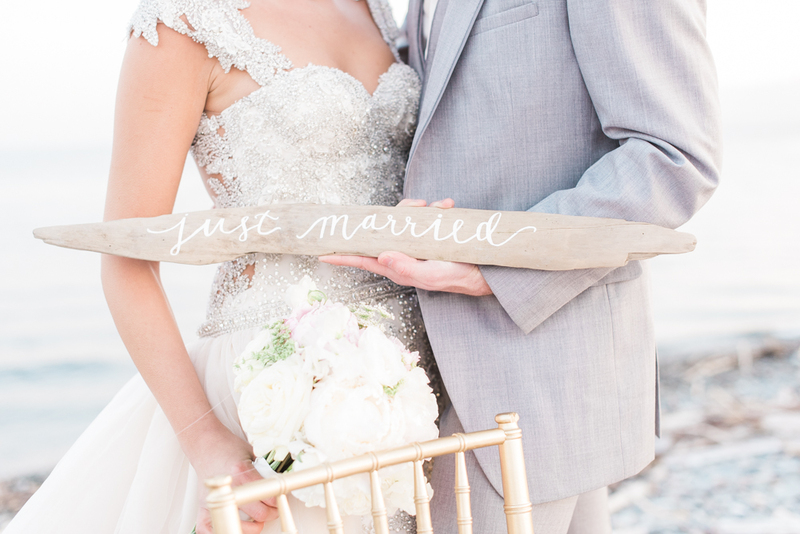 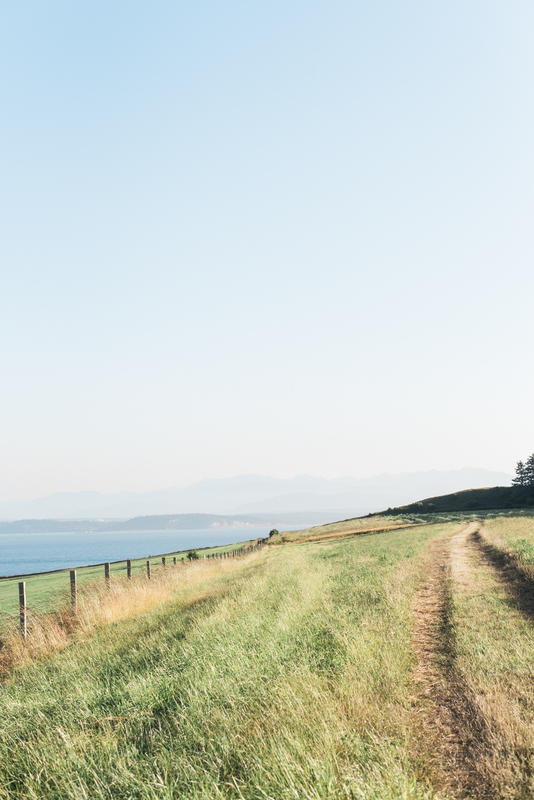 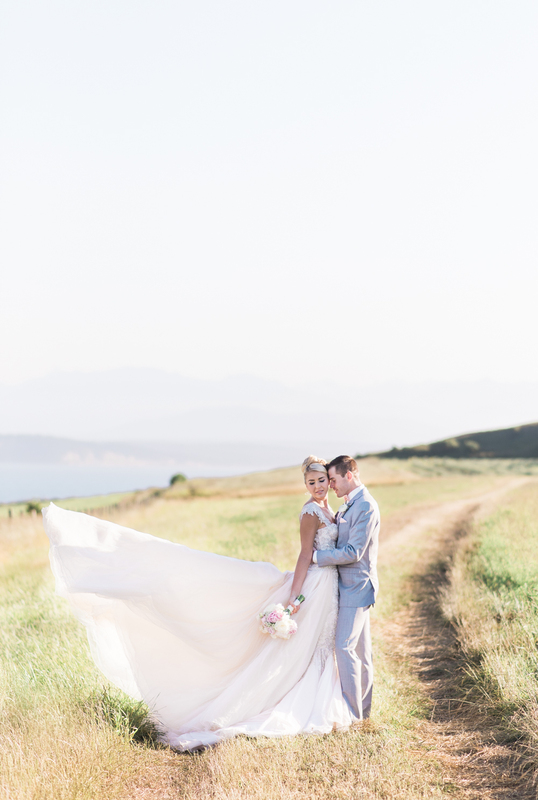 Upon the bluff on Ebey’s Landing our couple was the epitome of perfection. 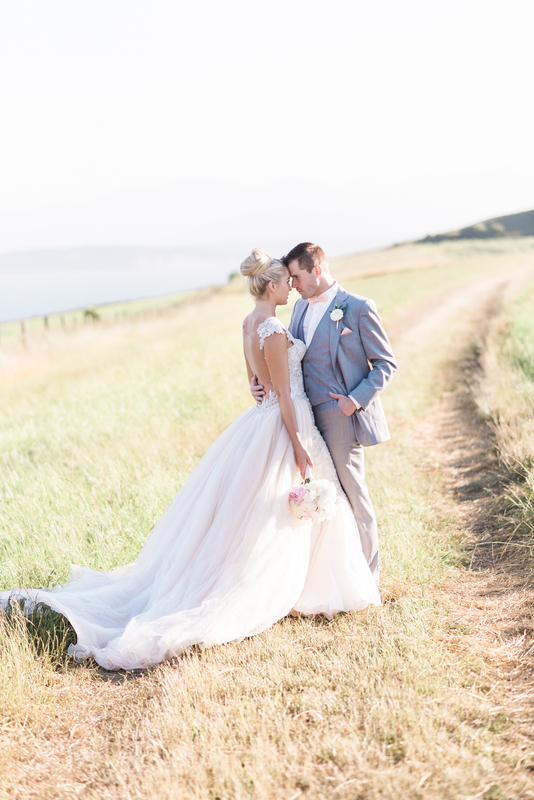 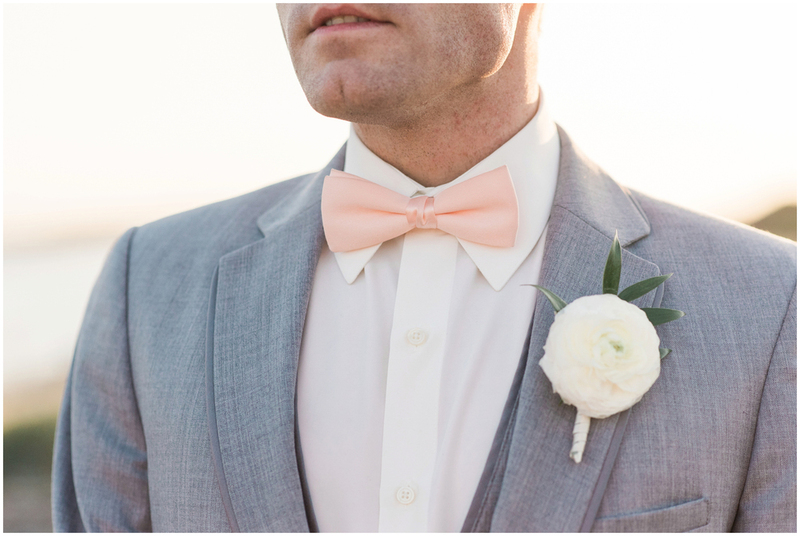 The bride in a phenomenal YSA Makino gown from MeaMarie Bridal was absolutely glowing and the groom with his light grey tux could not have been more dashing. 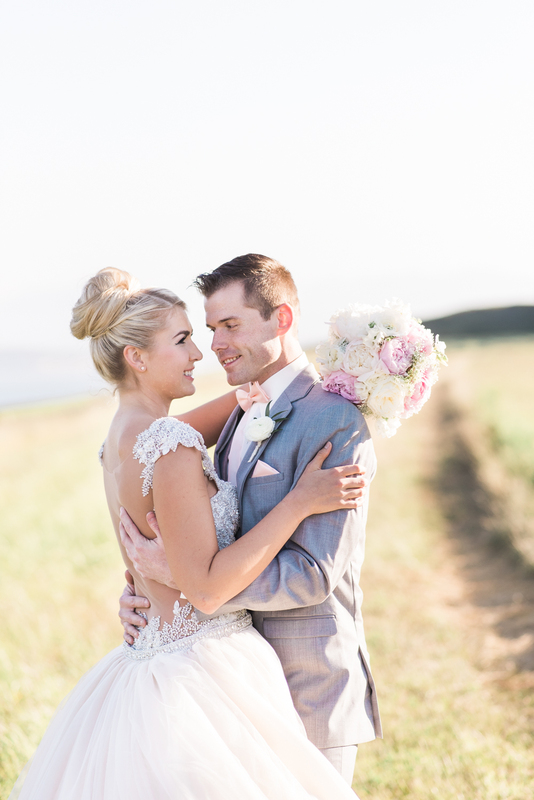 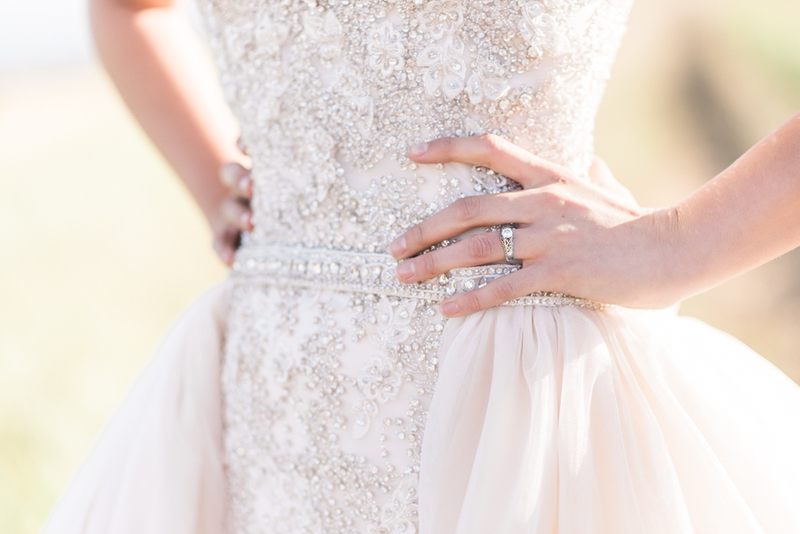 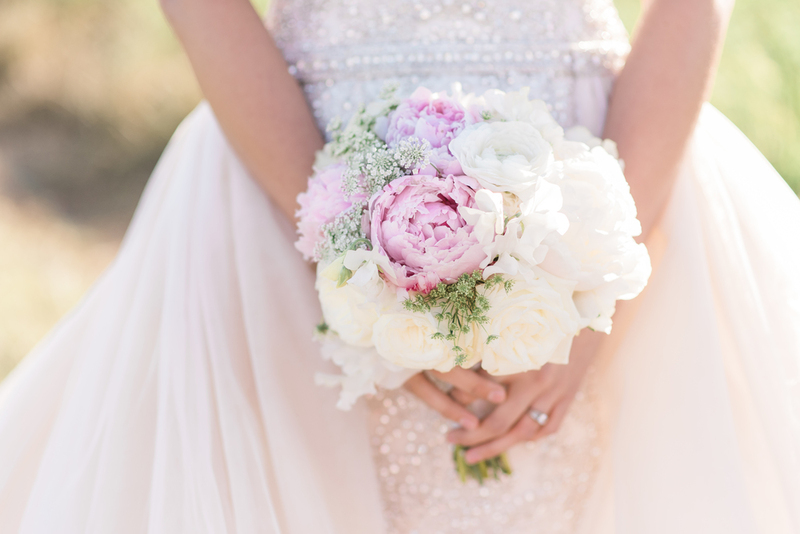 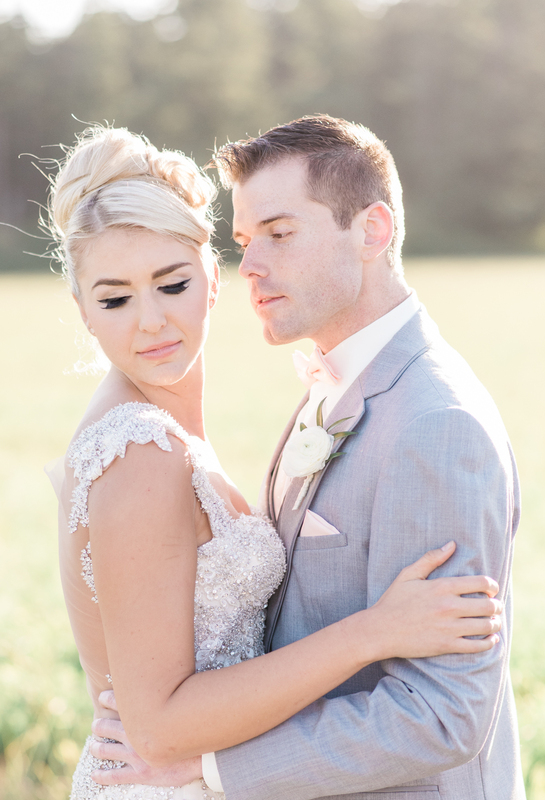 All in all, Becca and I could not have been more ecstatic with the result of this styled shoot, and could not have asked for a better team of vendors to help make our vision become a reality.